Roger Federer couldn’t manage to put a ball back in play for most of the first set against Ivo Karlovic, couldn’t break his serve for the entire match, yet found his path with the help of two tiebreak sets to reach his 10th Gerry Weber Open final. The 7-time Halle champion managed to take good care of his own serve in his 50th win at the newly upgraded ATP 500 event. Behind five aces and no double faults, Federer won 84% of points on his first serve and 62% of points on his second serve. The 33-year-old Swiss has been better round by round this week in all aspects of his service games. Despite 21 aces by the towering 6 foot 10 Karlovic, Federer navigated best during both tiebreakers, and was aided by a hawk-eye challenge at 3-all in the second set tiebreak, where his inside out forehand caught the edge of the line. The 17-time grand slam champion hit 30 winners to just 10 unforced errors and won 15 of 20 points at net. He saved the only break point he faced, while Karlovic did not face a break point for the match. Federer will face Andreas Seppi in Sunday’s Gerry Weber Open final, where he seeks his 8th title at the grass court tournament and 86th career title. The Italian advanced after Kei Nishikori retired due to a leg injury while Seppi led 4-1 in the first set. A bit of a superstition for the hailed greatest of all time to break – Federer has not won a tournament in which he has faced the Italian. The Swiss leads their head-to-head record 11-1. 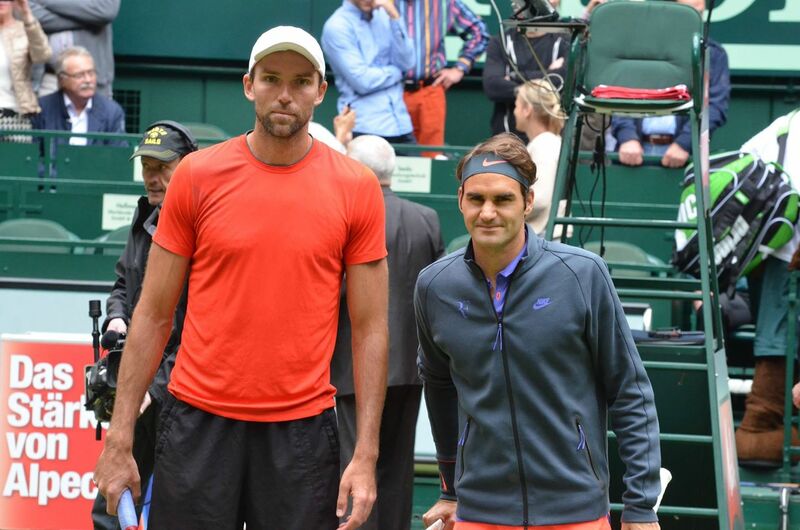 Watch coverage of the 2015 Gerry Weber Open (Halle) on FedFanTV.